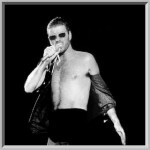 Have you had the George Michael experience? Having toured Ireland extensively playing it’s major venues and festivals the show has successfully taken on its competition in the UK, Holland, Switzerland, Spain, the Canary islands and even as far as Dubai and Egypt. This electrically charged 90 minute show covers all of the great George Michael eras taking the discerning die hard fan from the Wham days through “Faith” into “Older” and then on to the more recent controversial “ladies and gentlemen” album. With the completion of the European leg of his 25 live tour and the release of the new album “Patience” George Michael is set to endear yet another generation of fans. If you would like to book "George Michael Tribute Show" for your venue, corporate event, festival, private party or Christmas show call us now on 086 8883666. For International enquiries contact us on 00 353 86 8883666.